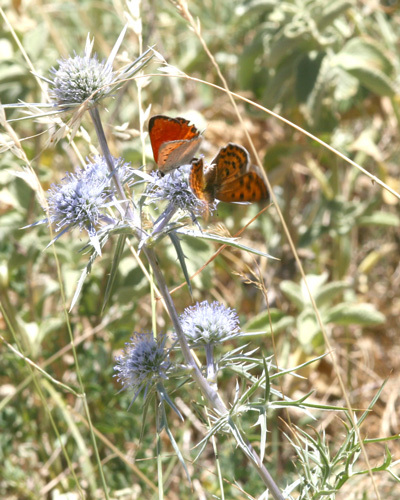 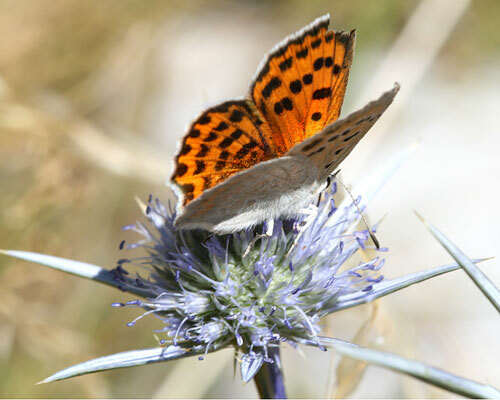 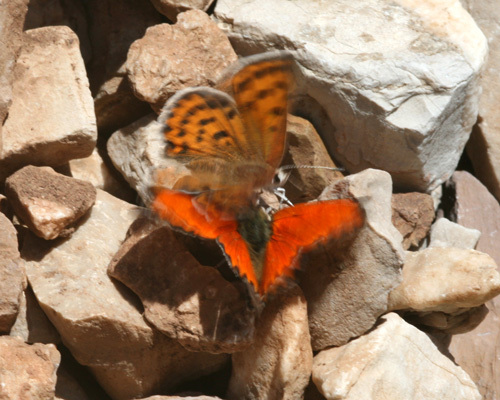 An extremely local and rare butterfly, most unlikely to be found without targetted searching. 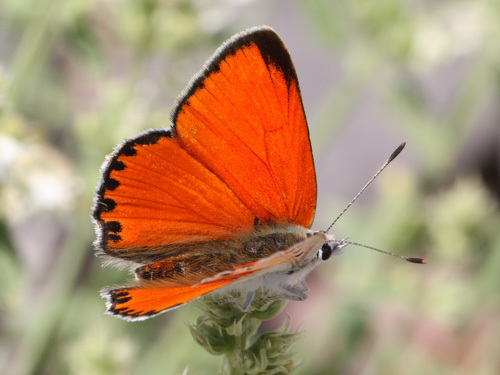 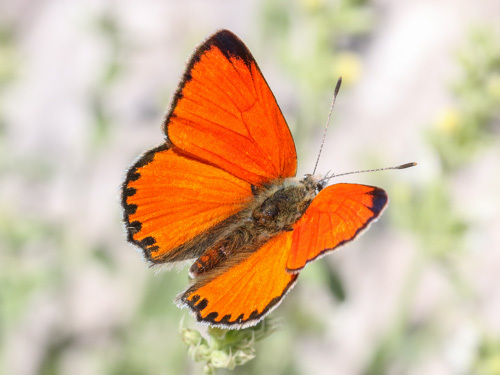 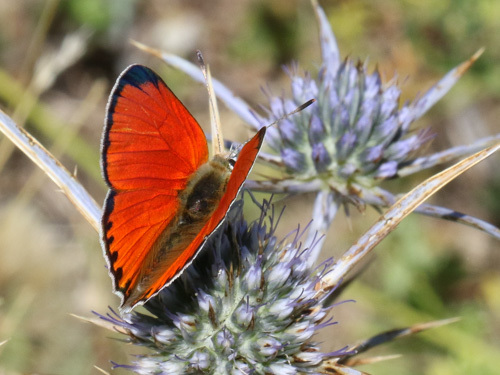 Possibly the most dramatic bright red-orange of all the Lycaena. 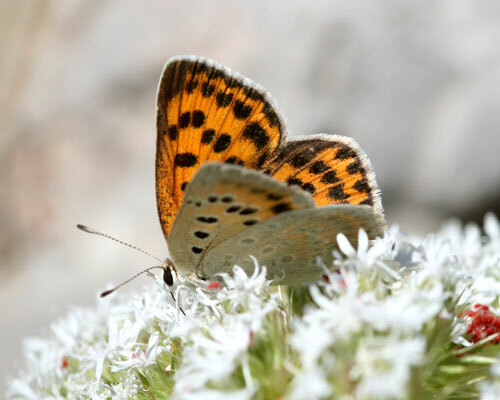 Identification & Similar species: Distinctive. 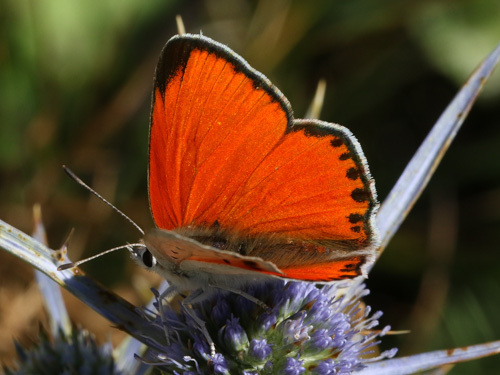 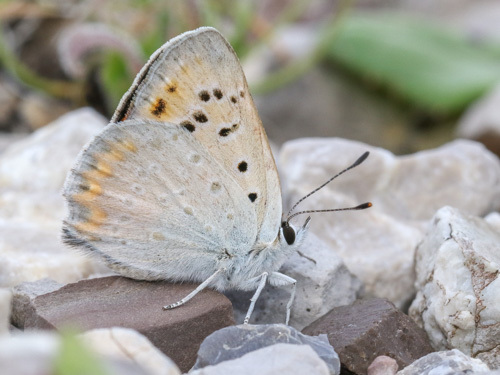 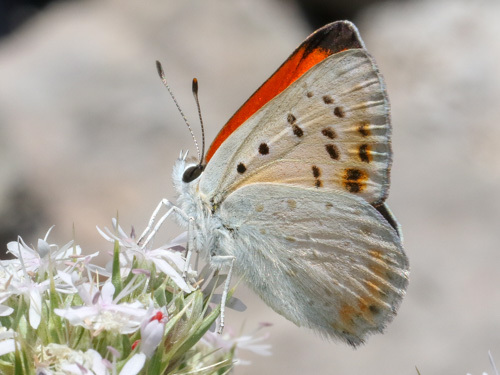 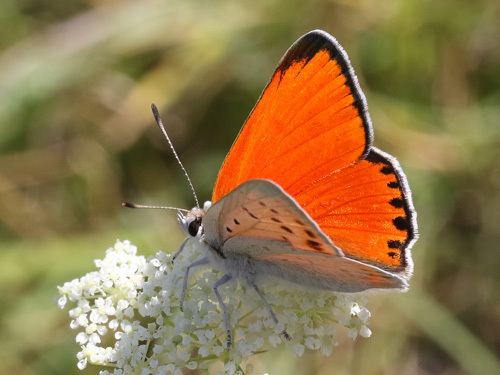 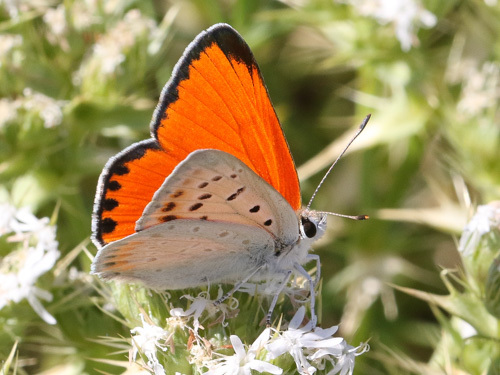 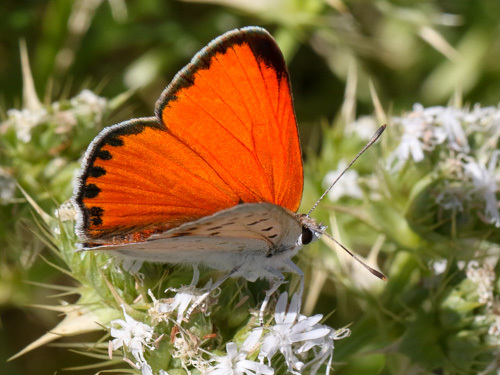 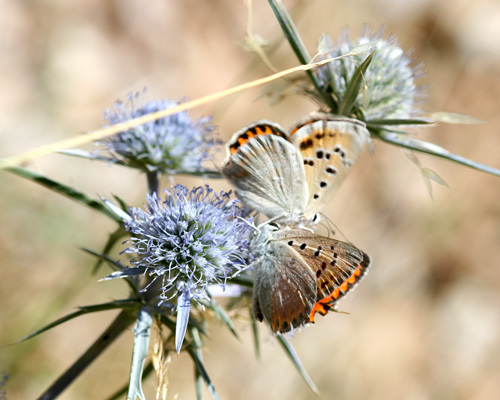 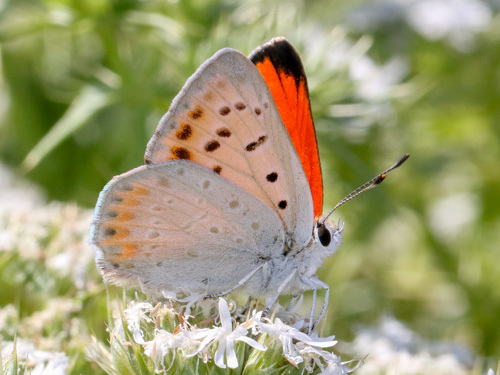 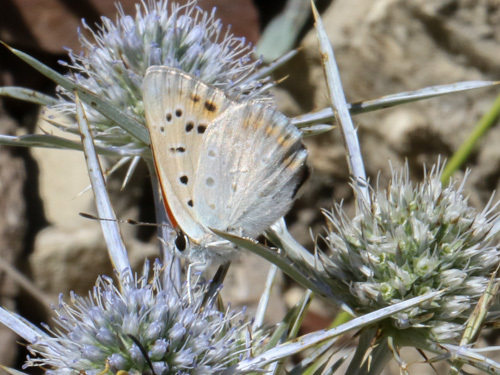 The undersides have a rather washed out pale grey appearance through which the typical Lycaena pattern of markings can be seen. 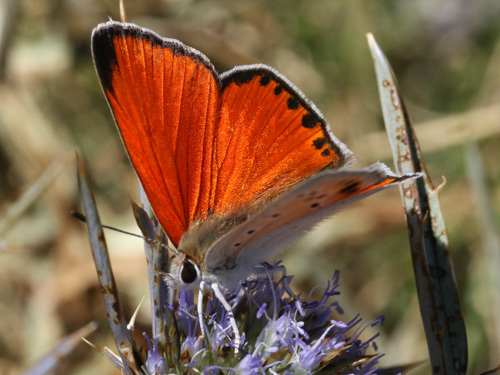 The upperside of the males is a bright fiery red which flashes spectacularly in flight. 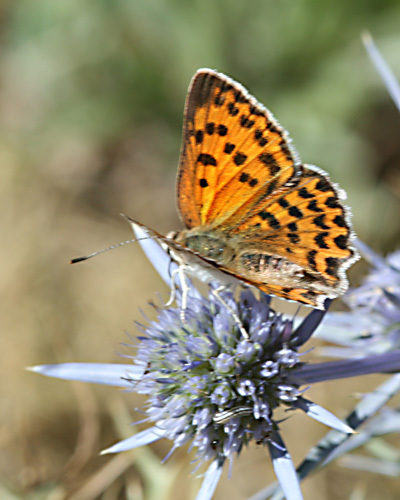 Distribution & Flight: In Europe it is only found in Greece on a few mountains of the Peloppenesos and the southern mainland. 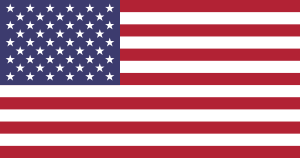 End July to early August. 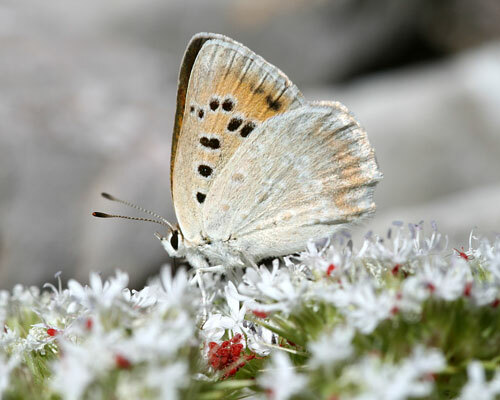 Habitat & Behaviour: Open and often steep slopes near the summits of mountains. 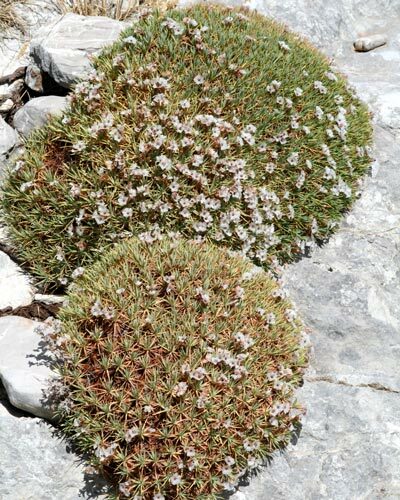 The larval foodplant, the cushion forming prickly thrift Acantholimon androsaceum is shared with the Odd Spot Blue, Turanana endymion. 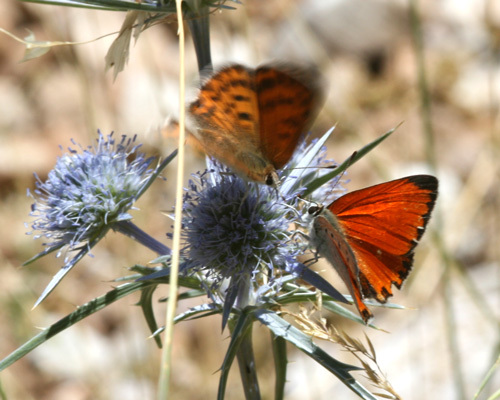 In the Pelopennesos, the habitats are shared too, although I don't believe the flight times overlap. 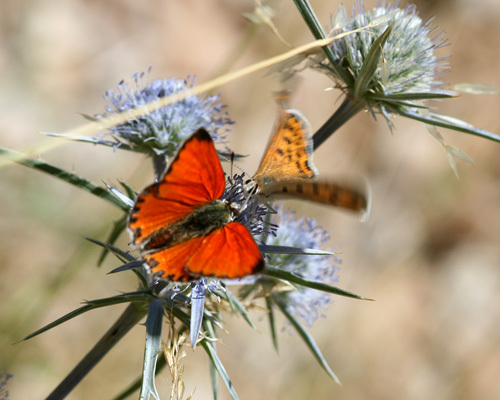 Very swift in flight and sensitive to approach in hot conditions. 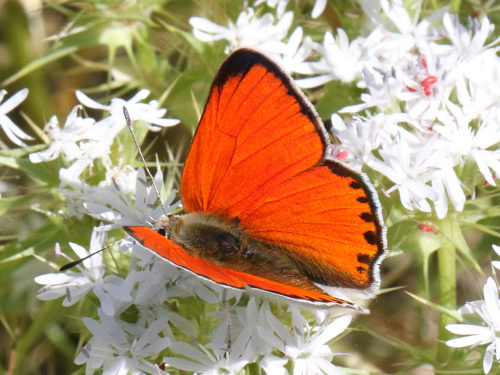 The males patrol large areas presumably looking for females or nectar plants. 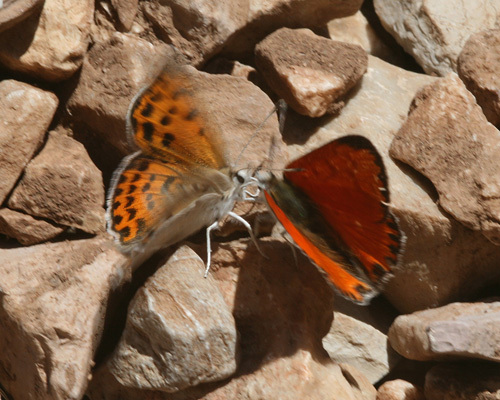 The bright copper of the upperside flashes periodically yet the flight is very difficult to follow as the underside grey blends in so well with the dry rocky habitat. 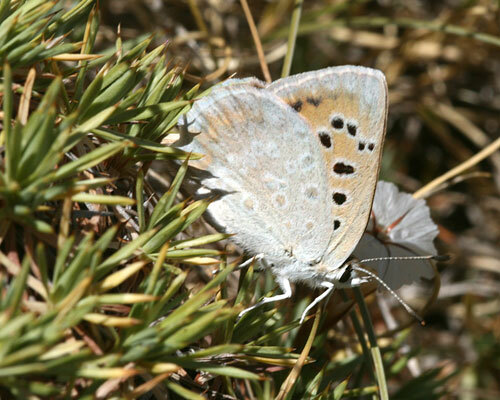 Males can be found at damp ground taking liquids.